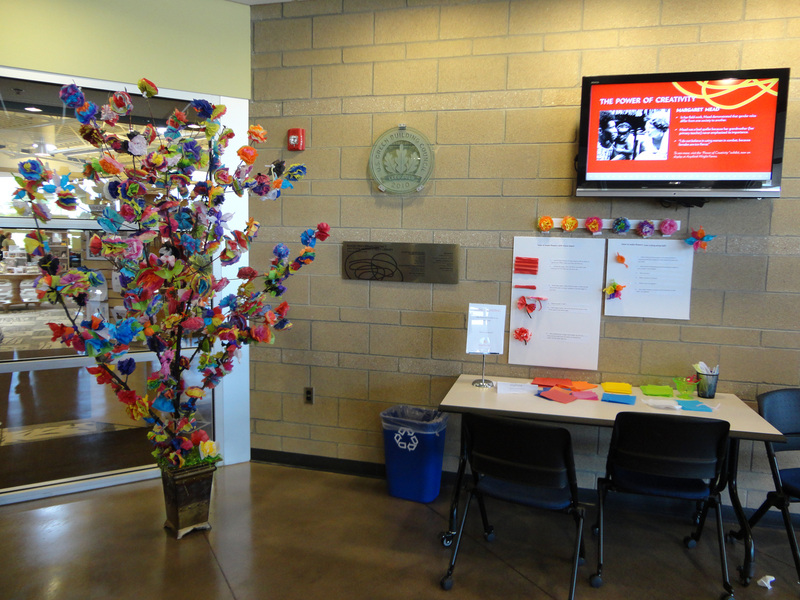 Visual merchandising has become a hot topic in 21st century libraries. 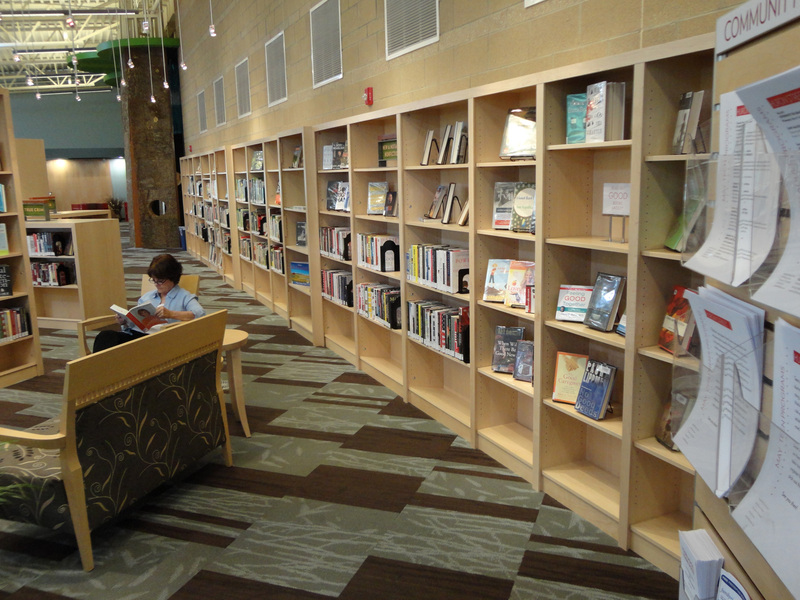 As the focus shifts from warehousing materials to creating spaces for people, a change in emphasis surrounding the visual impact of the library makes sense. We all like to feel welcome in the spaces that we frequent, and the visual appearance of each space often elicits an emotional response. While a clean space with well organized materials and comfortable seating may invite patrons in, the opposite is true when a space is cluttered and features more institutional-type furnishings. Central Express, St Louis Public Library, St. Louis, MO. 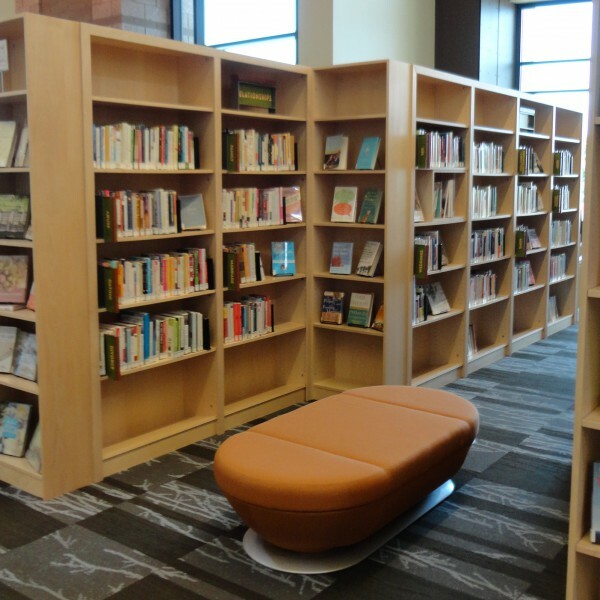 While merchandising principles aren’t new — forward-thinking libraries have been moving toward a more retail-oriented method for displaying their collections for over 10 years — they are now proven in their effectiveness and more relevant than ever. As the concept behind connecting customers to materials has evolved, it has expanded to include not only the displays and display furniture, but more of the entire environment including the color story, signage, seating and other furniture. The Anythink libraries in Adams County, CO understand that presentation is a critical component of creating a welcoming library. 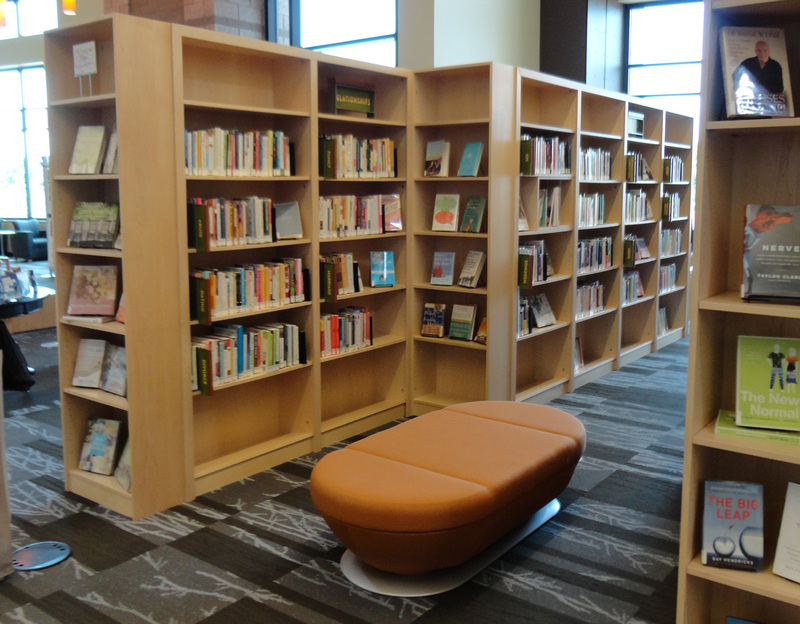 They have developed Visual Merchandising guidelines for their libraries to provide a framework for their staff. This straightforward information emphasizes basic design principles and focuses on areas of impact that make sense for any library. The consistency throughout their branches and discipline in execution further underscores an effective philosophy. Anythink Huron Street, Rangeview Library District. 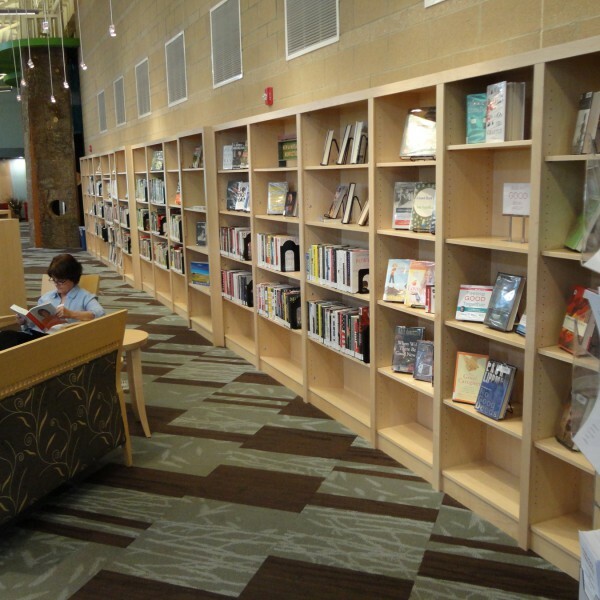 We thank the Anythink libraries of the Rangeview library district, Thornton, CO for graciously agreeing to share the guidelines that they use in merchandising their libraries. 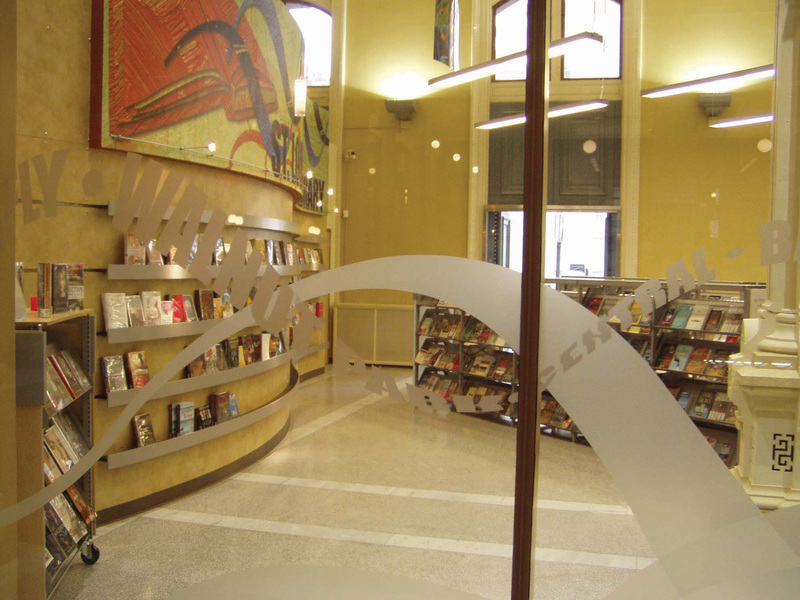 You can download the complete Anythink Libraries Visual Merchandising Guidelines for more information. Anythink Huron Street, Rangeview Library District, Thornton, CO.